By Mageplaza you can find many extensions that will help online stores improve customer search such as Magento 2 Layered Navigation and Magento 2 Advanced Search extension, and Magento 2 Shop by Brand extension is also one of such great tool. Similar to the navigation, Shop by Brand allows filtering by product attributes, but they are neither color or material or any physical features of the product. The plugin bases on brands (manufacturers) the products are made by. In this helpful Mageplaza documentation, you will achieve the guide of How to use and How to config on the frontend and backend of Shop by Brand Magento 2 module. You will follow these ways here. The search box on Magento 2 Shop by Brand has some functionalities that are alike to Magento 2 Ajax Search by Mageplaza. 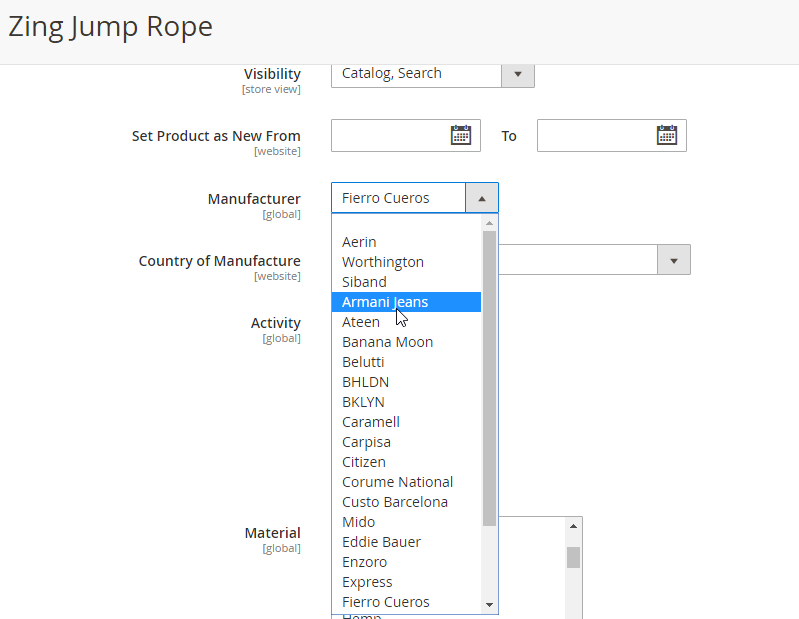 In the box, entering some words of the brand name and achieving the drop-down results instantly on the current page. The brand results come with Brand Logo, Brand Name, and Brand Description. Alphabet Search, placed under Search Box, is represented including “Show All” and the alphabets. Depending on the first characteristic of the brand name, the user will tap on the respective button. You can generate specific categories for brands which direct your customers’ minds to gravitate toward some certain brands, with fetching categories like “Feature Brands”, “Best Seller Brands”, “Mageplaza’s Brand”, etc. Do not hesitate to plan to promote brands you desire! Go to Mageplaza > Shop by Brand > Configuration is a bunch of the basic configuration you need to set up firstly. 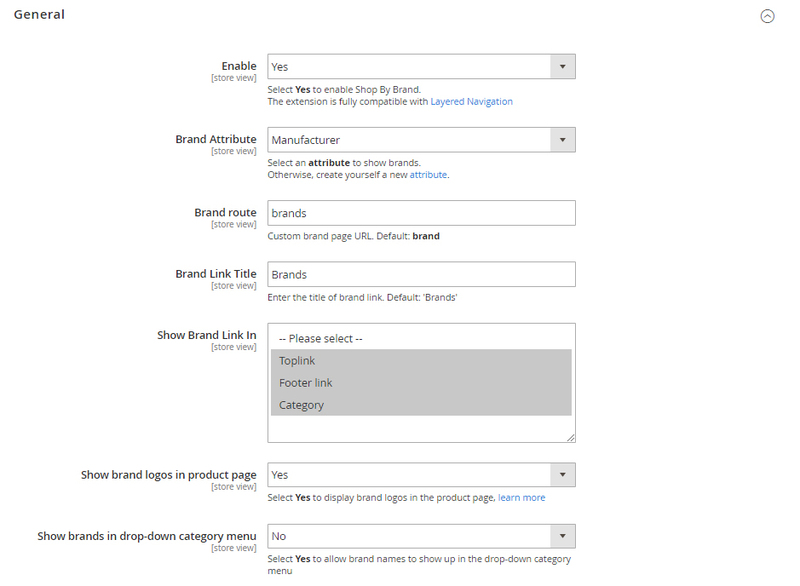 In Show brands in drop-down category menu: choose “Enable” to apply drop-down function at the mega menu. In Show Feature Brands option “”Yes”” is the default option. In Show Brand Product Quantity option to enable/disable the number. At Show Feature Brands choose to “Yes” to display. 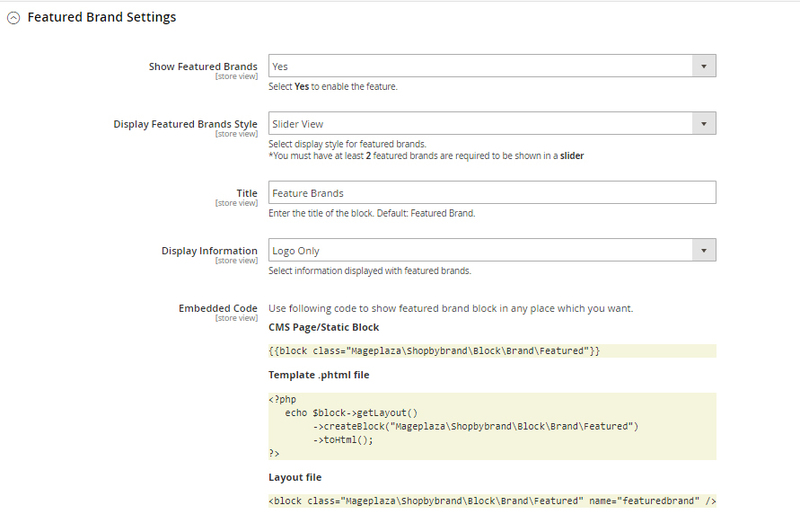 In Embedded Code is where you show feature brand block in any place you want. In Default Image choose a custom stock for Brand. If passing, the product placeholder default image will be used. Choose to Show Brand Image On Brand Page, Show Brand Description On Brand Page, and Show Brand Static Block On Brand Page or not. This is a new sweet treatment for marketing purpose, choose “No” if you don’t wish search engines index pagination pages. To create brand new category, click New Category red button. Choose Brand at the left sidebar, a multi-select available brand list will show up. 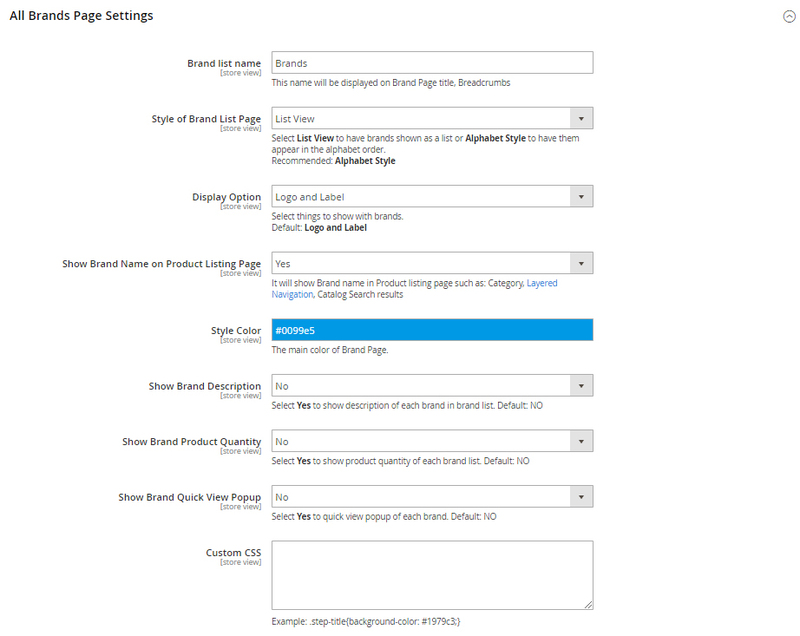 All brands are listed under Manage Options section, click on Add option on the bottom of the list, right after, a new row will appear. Click on Save Config to save the new brand. Tap Setting to open the “Brand Information” page for configuration. 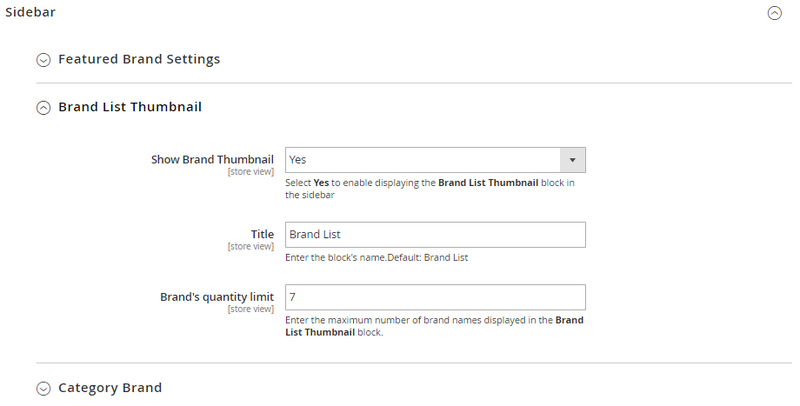 Choose the CMS Block to show brand as a static block on anywhere of your page. You can disable it by leave it blank. Save Brand to ensure that the configuration for the new brand is successful. For the existing brands, you can edit their information via Setting button. 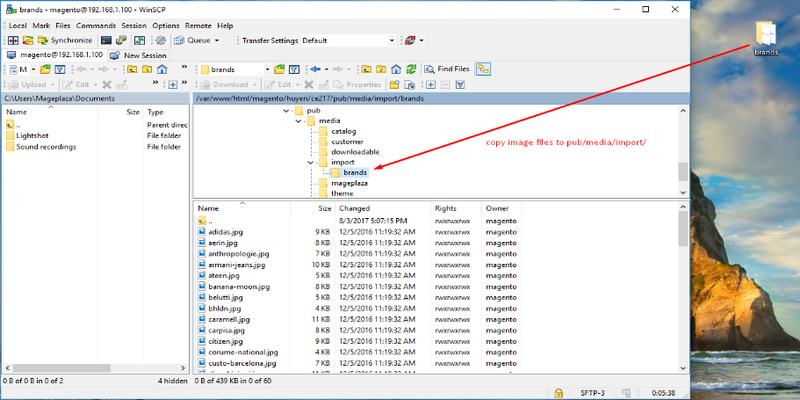 Shop by Brand extension from Mageplaza supports Magento 2 stores to bulk import brands via CSV file. 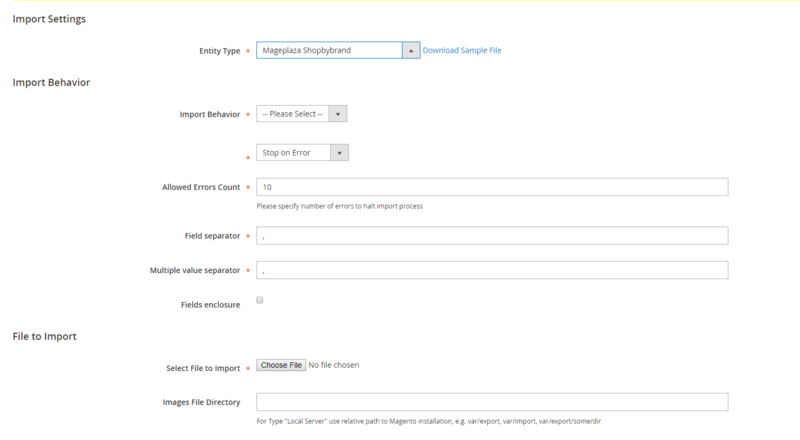 Go to System > Data Transfer > Import > Import Settings > Entity Type field, choose “Mageplaza Shopbybrand” to expand Import Behavior and File to Import fields. And a report will inform this. Now you’ve done all the step to import brand by a CSV file. This guide helps you classify what brand a product is made by. On the Admin Panel, Product > Inventory > Catalog . Select an exact product you want to assign, and open Edit mode under Action column. On the settings page of the product, you will see ` Manufacturer` field that allows assigning a corresponding brand to that product. Save the change to complete the brand attachment. When finish all, the brand logo will display on both Brand Listing Search and the product detailed page of the assigned product.